Lorie D. Volkers was born on December 16, 1933 in Paxton, Nebraska to Lewis G. and Betty Woodrow. 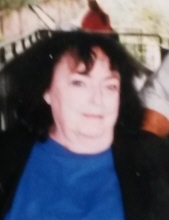 She passed away on March 19, 2019 following an illness at Portneuf Medical Center in Pocatello. Honoring her wishes, Lorie was cremated under the care of Downard Funeral Home, 241 North Garfield Ave, Pocatello, Idaho. A celebration of her life will be held on Monday April 8, at 5:00 PM at the funeral home. We invite all of Lorie’s family, friends and those she helped during her counseling carrier to attend. Please share memories, photographs and condolences on Lorie’s tribute wall. She was awarded the Distinguished Service Award in 1987 from the Iddaho Assn. For Counseling and Developement. To send flowers or a remembrance gift to the family of Lori D. Volkers, please visit our Tribute Store. "Email Address" would like to share the life celebration of Lori D. Volkers. Click on the "link" to go to share a favorite memory or leave a condolence message for the family.